Chip the Teacup is such a sweet character. 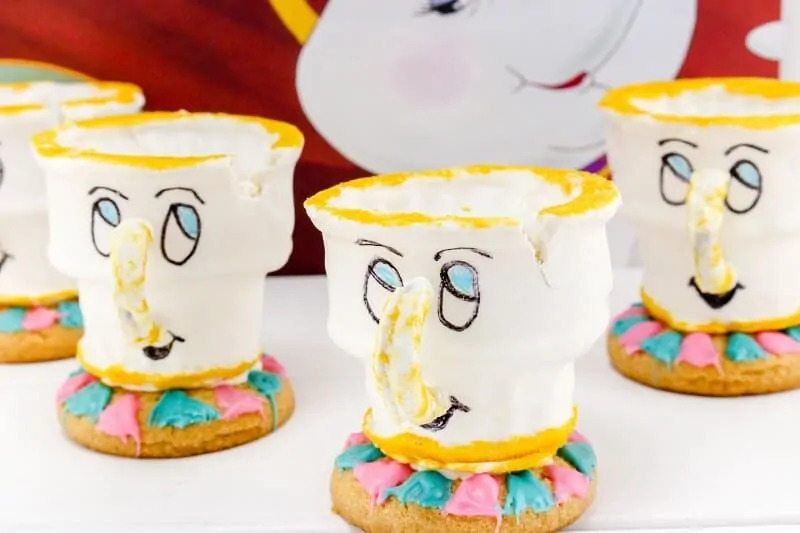 What better way to honor the iconic Beauty and the Beast character than a super sweet and adorable treat? For many families, March 17 couldn't come soon enough. The release of the new live-action version of Beauty and the Beast was super exciting for both kids and adults. Adults who watched the animated film in theaters were excited to see how the movie has changed and if it captured the story as beautifully as the animated version did. The animated version of Beauty and the Beast is hands down one of the best Disney movies of all time. Being able to relive the greatness of the story in a whole new way with your little ones is wonderful. The live-action version of the film is wonderful and has once again whisked us away to another time and place. If you're excited about the release of Beauty and the Beast, why not do something fun to celebrate the new film? If you want a fun treat to celebrate the new movie, this is an excellent choice. Your kids are going to love these. Chip the Teacup is such a sweet character. What better way to honor the character than a super sweet treat? 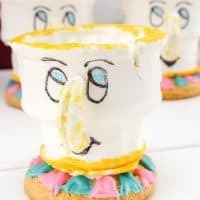 Not only is this treat delicious, but with a bit of decorating skills, you can make it look like this iconic character. This recipe features such simple ingredients. Best of all, it's something you can work on with your kids. 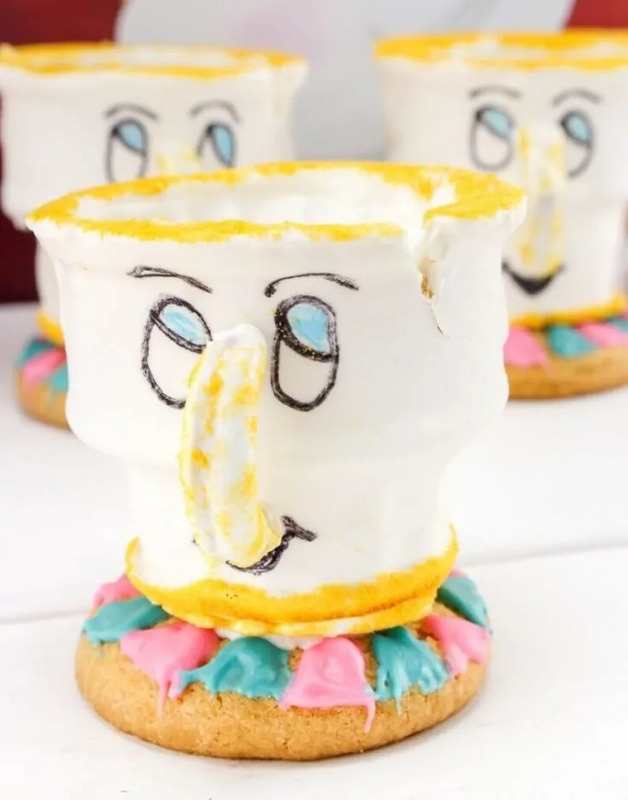 They will love trying their hand at decorating these yummy treats to look just like Chip the Teacup from Beauty and the Beast. You may want to practice doing a few of these on your own so that you can show your kids how to do it. That way your kids are less likely to get frustrated when they try. Also, don't be afraid to switch up the ingredients a bit. 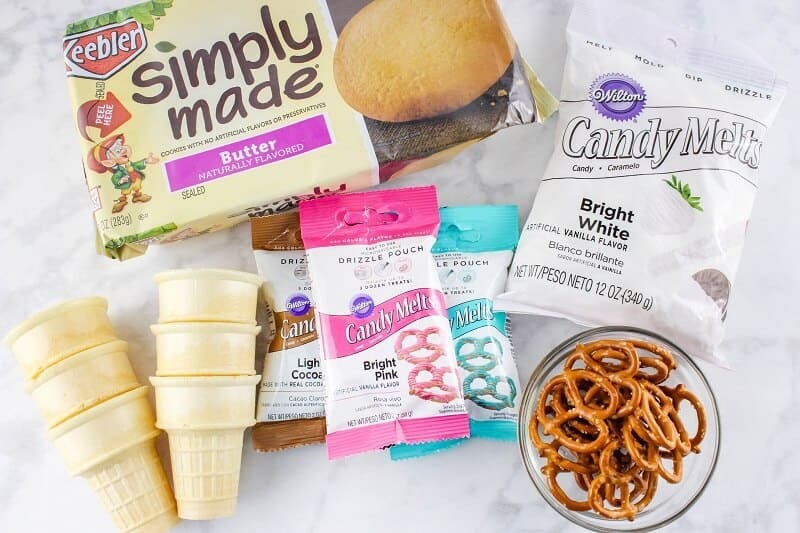 Using a different type of cookie or using chocolate ice cream cones instead of the regular kind will make the recipe your very own. 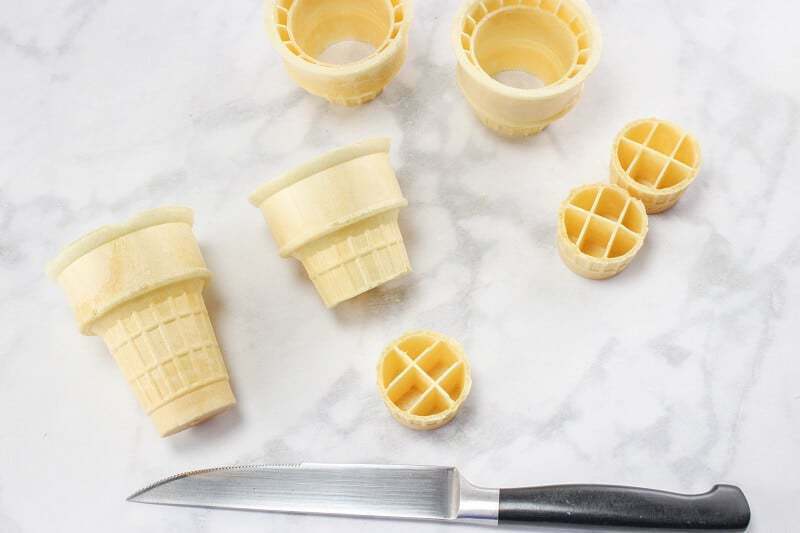 First, cut about 1/3 of the bottom off each ice cream cone. Then, break off rounded edges from the pretzels so they look like little cup handles. 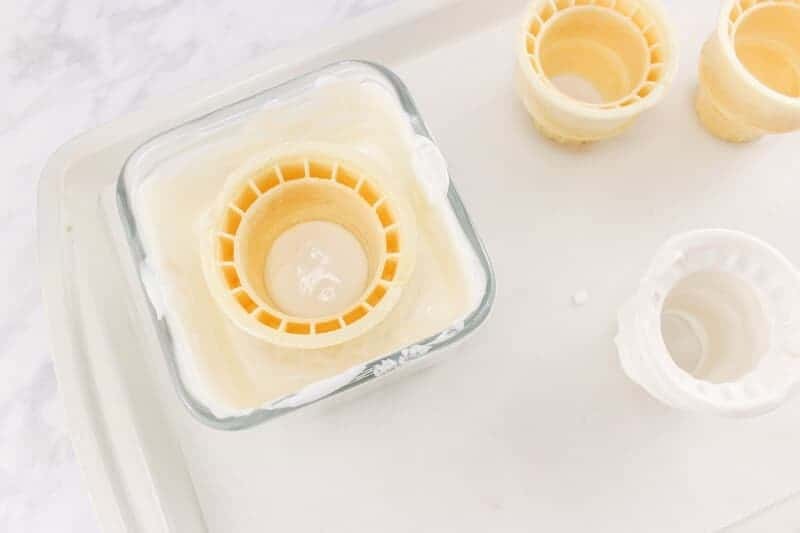 Place white candy melts in a bowl, and microwave in 30 second intervals, stirring each time, until melted. 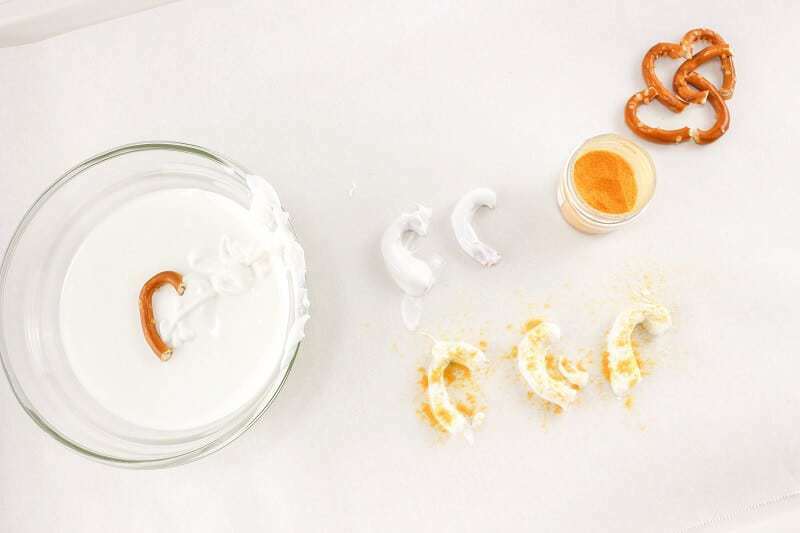 Dip the little pretzel handles into melted chocolate until coated and place on parchment paper. Sprinkle on edible gold glitter. Let Dry. Dip ice cream cones into melted chocolate until covered inside and out, place on parchment paper and let dry. Cut a small V-shape into the top of the cone to symbolize the chip. Next, dip each end of the cone into the melted candy melts and lightly dip into the glitter to form a gold rim on each end of the cone. 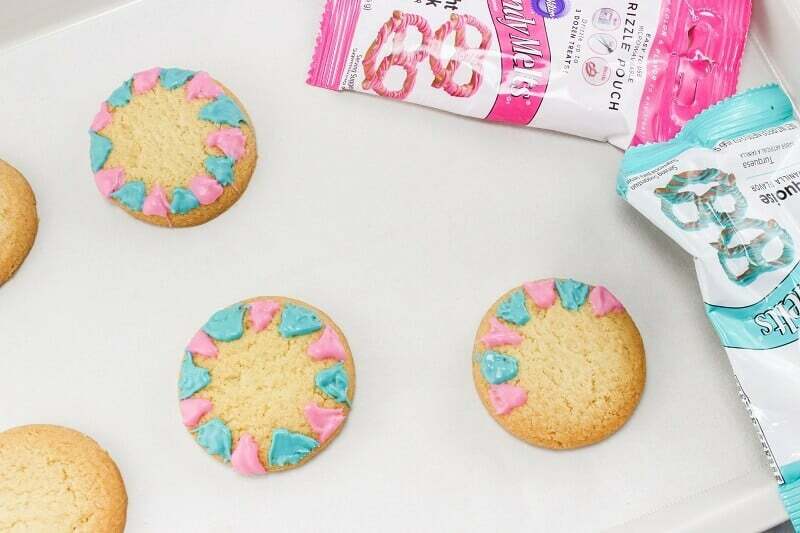 Heat the pink and blue drizzle pouches according to package directions, and make little triangle shapes around the edge of the cookie, alternating each color. Next, draw on Chip the Teacup’s eyes and mouth. 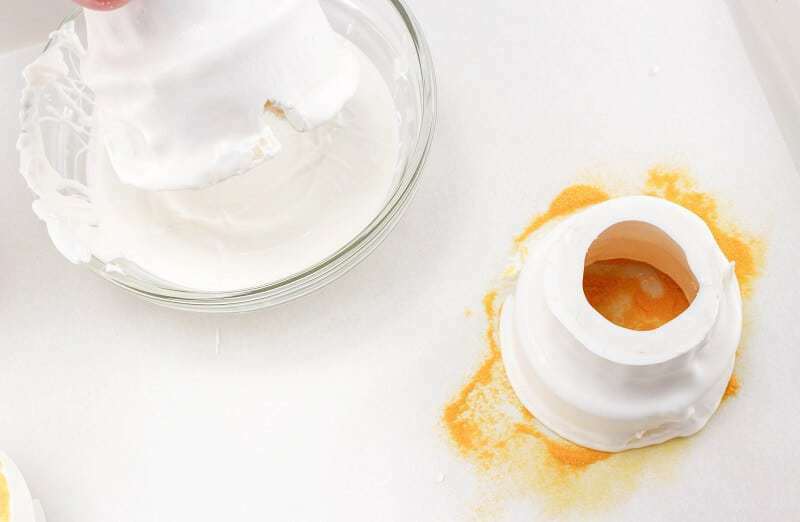 You can use an edible food marker or use a brown color drizzle pouch to do this as well, whichever you prefer. Finally, place a small circle of melted chocolate in the center of the cookie and set the cone on it, then put a little more chocolate on the inside of the cone to make sure it sticks to the cookie. Let dry. That's it! 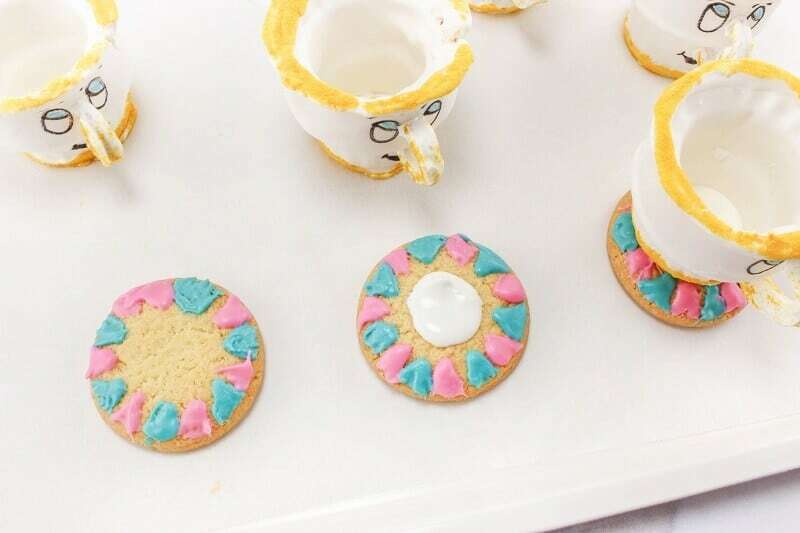 Enjoy your adorable Chip the Teacup treats! Cut about 1/3 of the bottom off each cone. 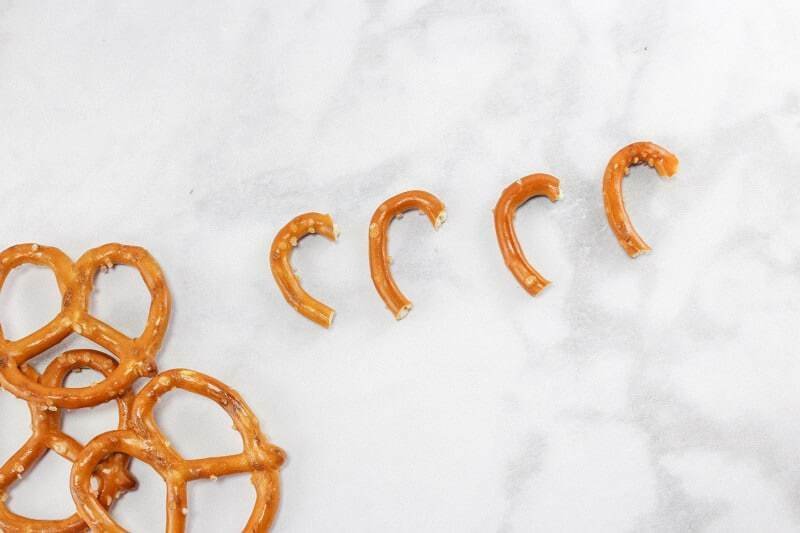 Break off rounded edges from the pretzels so they look like little cup handles. 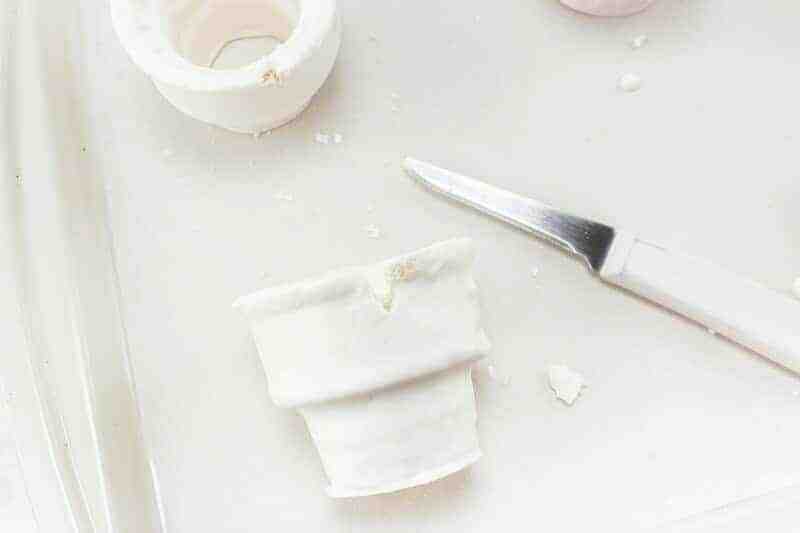 Place white candy melts in a bowl, and microwave in 30 second intervals, stirring each time, until melted. Dip ice cream cones into melted chocolate until covered inside and out, place on parchment paper and let dry. Cut a small V-shape into the top of the cone to symbolize the chip. Next, draw on Chip’s eyes and mouth. You can use an edible food marker or use a brown color drizzle pouch to do this as well, whichever you prefer. 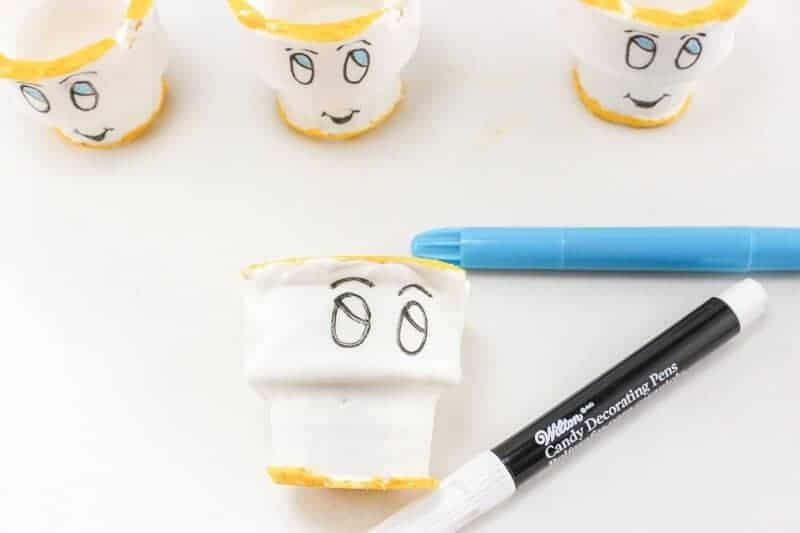 I HAD to pin this adorable activity that I would love to create with my grandkids! Chip is one of my favorite characters too. 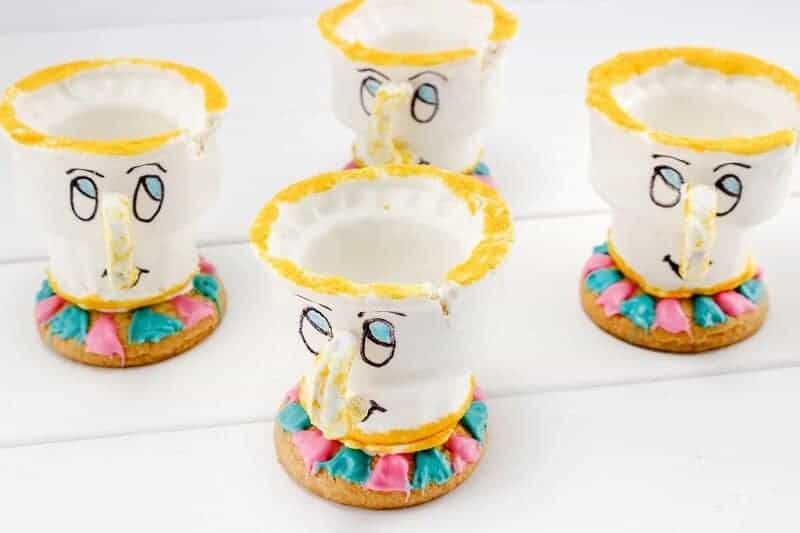 I don’t know if we can eat these cute little cups when they are done ? 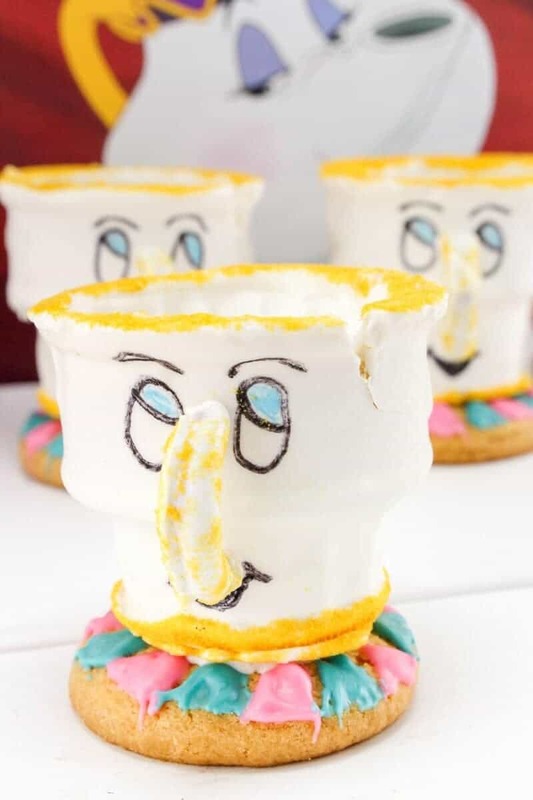 I never would have guessed it was ice cream cones that formed the teacup. Such a cute idea!!! I never could have come up with these ideas on my own! Thanks for sharing! Kids would go crazy for these! What a cute idea.